“Thinking of 9/11″; 3 1/2″ x 5”; Conte sanguine and silverpoint on a chalk ground in a sketchbook by Diana Mae Potts; May 23, 2012. 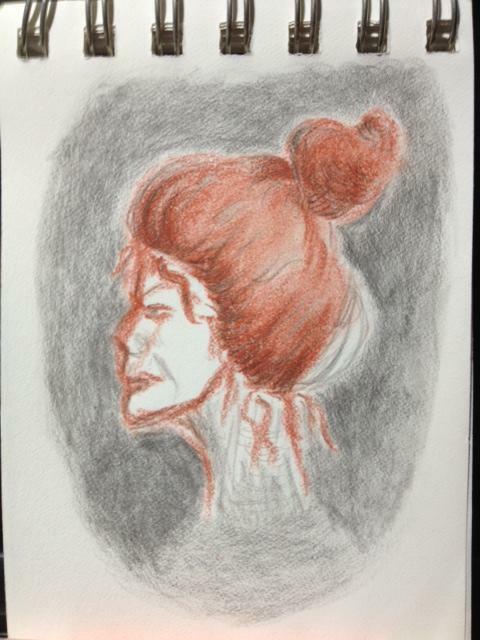 This started out as a study of hair with sanguine chalk and silverpoint. My thoughts in the background were on 9/11, hence the expression.